Last weekend, Minnesota Main Stream Media trumpeted news of Ted Cruz’s victory in a meaningless straw vote of the MNGOP establishment. Surprise, Surprise. Minnesota Establishment Republicans don’t want Donald Trump as their presidential nominee. Mr. Trump’s rhetoric suggests he opposes much of the Progressive Agenda. Even though this writer is still undecided about Mr. Trump, he suggests perhaps Mr. Cruz should rethink this Minnesota Republican love fest. (My support of any candidate at this point will require them to reduce to writing their unequivocal opposition to the entire Pro NWO, Progressive Agenda.) More importantly, perhaps voters can gain some insight into Ted Cruz’ intended follow though on reversing Obama’s reign of terror. The Minnesota Republican Establishment is a bunch of Pro New World Progressive RINO’s. And immediately the Minnesota Republican will bristle at that suggest and state that the position is nonsense or baseless. Quite simply, Progressives believe that Government Educated Elites (selected from the wealthy, leisure class because only they have the time and resource to study governance) should be free to make and implement decisions without accountability to WE THE PEOPLE. Progressive Professor Jonathan Gruber admitted as much when he was recorded assert that Progressives believe Government has the right to the masses, because the masses are too stupid to know what best for them. The best evidence of the Progressive Nature of MNGOP comes in the following concrete evidence. So in our first example, Minnesota Republicans who are supposed to be the party of Fiscal Responsibility have helped a government entity to hide its finances from a citizen. Further, they have engaged in illegal and unconstitutional punishment and retaliation against me. [Progressive Conditioning – http://wp.me/p4KIHq-27 ] And clearly, MNGOP officials actions have been consistent with the Progressive principle that Government officials should not have to be accountable to citizens. In years when the Democrats had control of the Minnesota Legislature, Republican would blame the Democrats. Yet even in the years the Republicans held the majority (2010-2012) in the Minnesota Legislature, the Republicans failed to provide the Judicial TAR groups said hearing. The retaliation and punishment for advocating Judicial TAR was harsh. Careers and business were destroyed. Some people moved out of the state to escape the retaliation. At least one person moved out of the country. After 10 consecutive years of being refused this hearing, it is pretty clear that WE THE PEOPLE have exhausted our peaceful remedies with regards to Judicial TAR. So once again we have established that Republican elected officials and MNGOP officials have acted in a manner consistent with the Progressive assertion that Government officials should not be accountable to the masses. Which leads this writer to assert that the Minnesota Republican Establishment wants Ted Cruz because Ted Cruz thinks like them. And I can’t fathom why any rank and file American would want to vote for any politician who believes they are not accountable to WE THE PEOPLE. This writer will as quickly point out that he has contacted @realDonaldTrump and @TedCruz through their Twitter accounts. This writer has asked both of them and almost every conservative candidate to reduce to writing their equivocating opposition to the entire Pro NWO Progressive Agenda. So far none have responded. 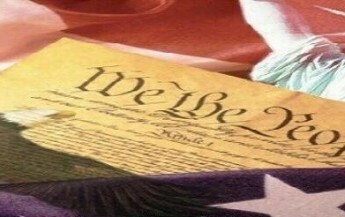 How do we take back our country and restore our liberty with a Second Declaration of Causes? This writer was going to write an article on this last weekend but several factors prevented him from doing so. Perhaps tops amongst those factors being the need to repost many of the articles I referenced in this article. Last month, your government censored more than 200 of my articles off the internet. Over the past two years, your government has arranged to shut down almost 200 of my blogs. It takes lots of effort to repost these censored articles. I almost passed on writing this article, until the Des Moines IA register made the dubious report that Ted Cruz had surpassed Donald Trump as the first choice among of conservative Iowa likely voters. I could take it no more when Main Stream Media ran with that to the exclusion of the rest of the polls showing Trump still in the lead. As I stated, I have not jump on the Trump train, but wrong headed reporting is just wrong.